The couple posed for photographers on the grounds of Kensington Palace hours after their engagement was announced by Harry’s father, Prince Charles. 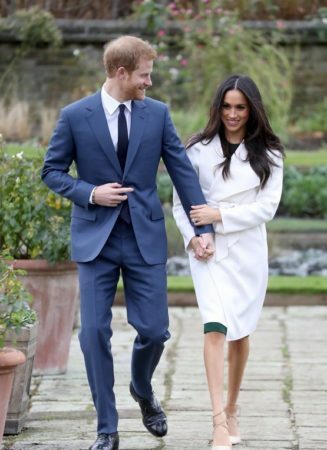 Markle said she was “so very happy.” She wore a belted white coat and held Harry’s hand as photographers focused on her engagement ring. Palace officials said Harry designed the ring himself. 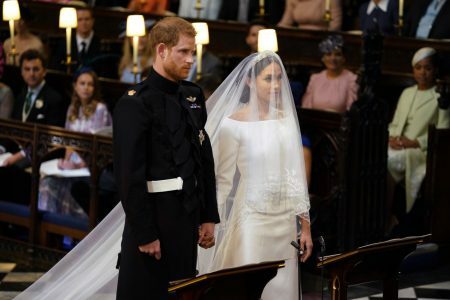 It features two diamonds that belonged to his late mother Princess Diana, and a central diamond from Botswana, a country he and Markle have visited together. They left with their arms around each other. The couple plan to give their first joint interview later Monday. 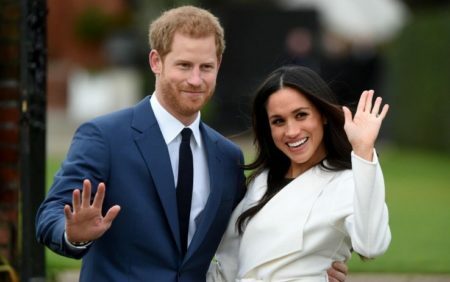 Harry, a bad-boy-made-good by his tireless devotion to wounded veterans and his embrace of a variety of charitable causes, has said for several years that he wants to start a family, and the rumors of his engagement to Markle have been flying for months. 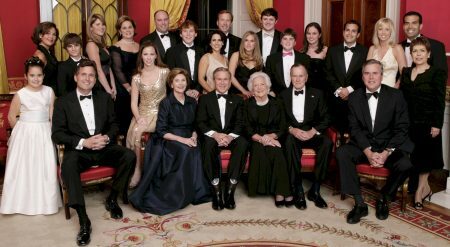 Prince Charles told reporters he was “thrilled” with the engagement. Monday’s announcement said the couple became engaged in London earlier this month and that Harry has informed his grandmother, Queen Elizabeth II, whose consent is needed for him to marry. 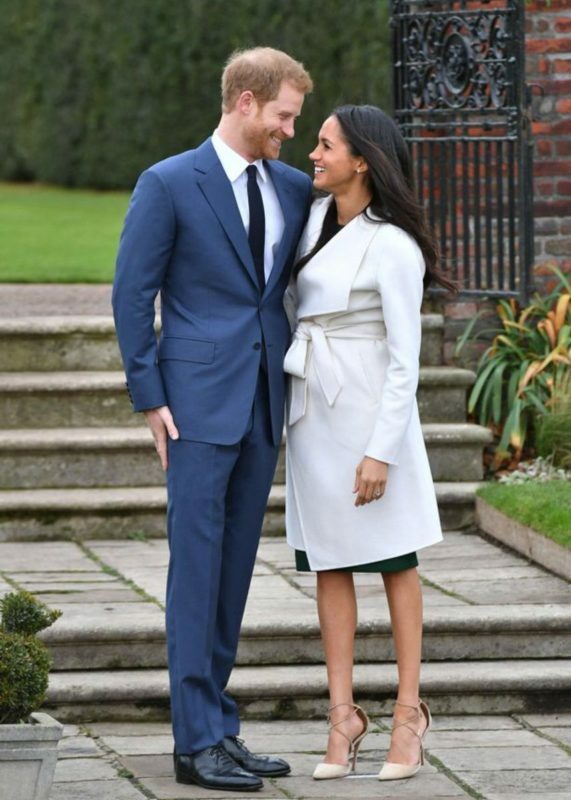 The couple plan to live in Nottingham Cottage at Kensington Palace, where they will be neighbors to William and Kate and other members of the royal family. 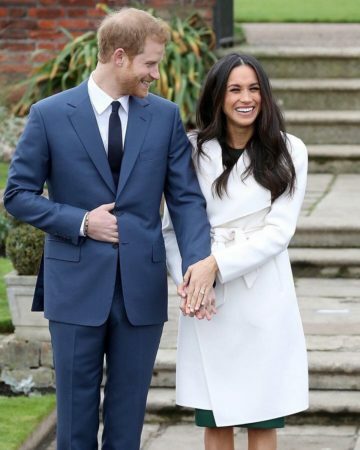 Markle, who has lived in Toronto since 2011 while filming U.S. legal drama “Suits,” is reported to have started the sometimes time-consuming process of moving her dogs from Canada to Britain. She reportedly recently left the television show, a development that helped fueled engagement speculation. 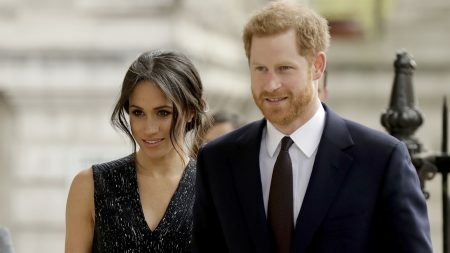 The announcement means another grand royal wedding may be in the offing — the first since William and Kate married in 2011 — though it is possible the couple may choose to have a private ceremony, perhaps in a remote location far from the paparazzi who bedeviled Harry’s mother, Princess Diana. 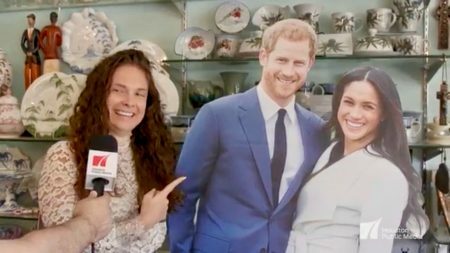 Markle, best known for her role as an ambitious paralegal in “Suits,” surprised many when she shared her feelings for Harry in a September cover story for Vanity Fair. Associated Press Writers Sylvia Hui and Jill Lawless contributed to this report.